Flexible format can be delivered in four two-hour sessions or two four-hour sessions or one eight-hour session. Small mistakes can often lead to substantial numerical inconsistencies that can take hours to track down and correct. Improving the ability of your team members to transfer data more accurately and quickly, improve the way they work with numbers, and increase their overall performance and productivity could save significant time and resources. Increased audit requirements, tighter regulations, and heightened corporate oversight have increased the importance of accurate data entry. It requires both skill and technique to increase productivity in typing, recording, transferring, and checking numbers while maintaining accuracy. Improving the precision and speed of your team in working with numbers can dramatically impact the success of your team. 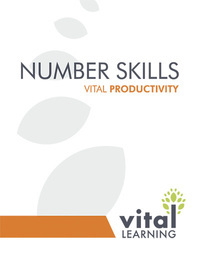 The Vital Learning Number Skills® course uses visual and listening exercises to teach participants rapid and accurate perception of numbers and letter/number combinations. 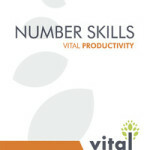 Based on feedback from hundreds of individuals, the course outlines various tools and techniques that increase the efficiency and accuracy of employees who regularly work with numbers.